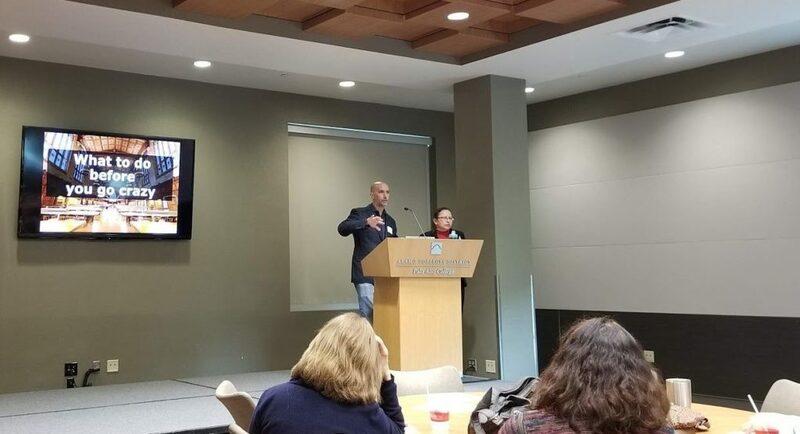 Maria Cabaniss, Interim Dean and Associate Dean for Instruction and User Services, and Gabriel Lopez, Acquisition Technician, with Our Lady of the Lake University shared their process of planning and selecting their Library ILS. Cabaniss and Lopez discussed the planning phase leading up to the selection and contract negotiation of a new ILS, developing a needs assessment for a new system, requirements, migration timeline, product/vendor review, the demo process, final selection, and a proposal to University administration. Following the planning process of an ILS transition, Lee LeBlanc, Technology Services Librarian with San Antonio College, and Tosca Gonsalves, Electronic and Database Services Librarian with Palo Alto College shared their overview of moving from an outdated library system to a library service platform. Their experience provided insight into tips and best practices, expectations, and lessons learned. Kirsten Lorenzen, Outreach and Community Engagement Librarian with UT Health San Antonio, shared the process and experience of Briscoe Library’s successful marketing campaign that challenged traditional perceptions of libraries and addressed the need to create awareness of resources and services. Lorenzen discussed 2018 Fiscal Year initiatives that set the stage for the 2019 campaign designed to promote awareness of the library’s resources, connect with the campus community, and build a strong brand.